General Motors will use its Oshawa, Ontario, assembly plant to expand production of pickups for the North American market if a tentative agreement with Canadian auto workers is ratified, sources familiar with Canadian labour negotiations told Reuters. Oshawa's manufacturing plant, which employs some 2,500 workers, will install component parts and do final assembly of pickups using bodies shipped from a GM plant in Fort Wayne, Ind., the sources said. Two sources said that Oshawa will do final assembly on the Silverado, and one source said the work will begin in January 2018. It was unclear if or when the Oshawa plant will do full production of the pickup, and sources did not know what production volume the assembly represents. GM representatives declined to comment ahead of the union's ratification vote. 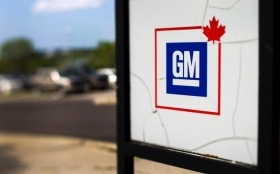 GM reached a tentative labour deal with Canada's autoworkers' union, Unifor, late Monday that prevents the closure of Oshawa and brings some engine assembly from Mexico to GM's St. Catharines, Ontario, facility. Unifor leaders are expected to outline details of the agreement to members Sunday. The agreement includes "hundreds of millions" in investments, Unifor said. The car plant will become capable of producing trucks under the deal, it said. Unifor President Jerry Dias would not comment on any new production for the Oshawa plant, but said on Wednesday that Oshawa will continue building the Impala and already had a commitment to build an updated version of the Cadillac XTS. Sales of large pickup trucks such as the Chevrolet Silverado and the rival Ford Motor Co. F-series line have been strong amid a recovery in the U.S. housing market and low fuel prices. Analysts and company executives say the vehicles are among the most profitable for the Detroit automakers.